When one spouse has a significantly higher income than the other, the transition from married to single life can be particularly hard on the lower-earning spouse after divorce. This is especially true when the latter spouse has taken on most of the home and family duties in order to support the other’s career advancement. To ease the transition, the higher-earning spouse often makes monthly maintenance payments to the other for a year or more after the divorce. However, there are many misconceptions about Illinois laws on spousal maintenance, also known as alimony. Both spouses should go into a divorce understanding what they can realistically expect when negotiating a maintenance agreement. Q: What if I Do Not Think I Need Maintenance at the Time of the Divorce, But Change My Mind Afterward? A: If you waive your right to maintenance in your final divorce settlement, you cannot go back to court later and try to obtain maintenance (750 ILCS 5/457e). Therefore, one important step in the divorce process is to work out a budget and determine how much money you will need to support yourself after the divorce. The Illinois General Assembly passed House Bill 2537, which will alter the way spousal maintenance payments work in Illinois. According to the existing law, which went into effect in 2015, several factors should be used in order to determine whether maintenance is appropriate. In the event that maintenance is appropriate, the court will use statutory formulas to figure out how much maintenance will be awarded and the duration of the payments. Let us take a closer look at how the Illinois spousal maintenance law will change when it goes into effect in 2018. Spousal maintenance is often one of the most contentious issues during divorce. Often referred to as “alimony,” this payment of support from one spouse to another has come under criticism in recent years. As a result, some legislatures across the country have revised the legal aspects of maintenance in an effort to provide more structure to when and how it is awarded. 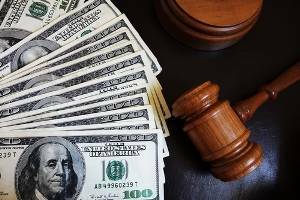 Traditionally, in most jurisdictions around the country, it has been left to the judge’s discretion about whether spousal maintenance should be applied in any given case. After various factors are considered, the judge may decide upon a maintenance award that he or she believes would best support the designated spouse.